Norfleet Brothers on Jubilee Showcase. Produced and hosted by Sid Ordower, Jubilee Showcase aired on ABC’s Chicago affiliate television station, WLS Channel 7, from 1963 to 1984, and won an Emmy Award for a Pioneering Project in television. 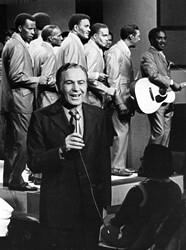 It featured everyone from the youngest church performers to the most famous gospel recording artists of the time including: James Cleveland; Grammy Award winner Albertina Walker; the Caravans; Andrae Crouch & The Disciples; the Mighty Clouds of Joy; the Soul Stirrers; the Staple Singers and the Barrett Sisters — all gospel music pioneers. 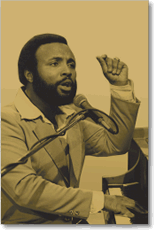 There was even an appearance by the acknowledged inventor of gospel music, Thomas Dorsey. Visit our Launch Rock page to get EXCLUSIVE access to rare performances from JUBILEE SHOWCASE, and stay informed about this iconic television program.